The Project Management PHP Script is mainly designed for the people to make the business project management and to manage the task module and the project planning efficiently, because nowadays the small and medium business firm industry and the entrepreneurs are developing large in number, so it is necessary to have a company project management site for the every single company or firm to maintain their project module and event management, to maintain the project task of the individual person. We have developed this script to solve these problems with user attraction templates, to make the business communication effectively. Our Open Source Project Management script is designed with the Open Source PHP platform to work efficiently, to make profitable user project management site, the script is well optimized with our experts will help you to reach as the complete business site, the log-in details and credentials are stored on the secure database, so the user don’t need to worry about the data loss, we developed this script with the network structural sitemap and the site is well categorized to make easy access of the script. Why need to buy our script? We have developed this Resource Allocation Script as per the Google guidelines to make site optimize and we customize the script as the user requirements, since we are 16 years experience in this field we provide services to all around the globe and we included many features like invoicing system, expenses tracking, tickets and messages, translation and we also added professional general settings like system settings, E-mail settings, payment settings, invoice settings, estimate settings, theme settings etc. We are 16 years experienced leading Software Product Company focuses on latest trends and technologies in creating product web design and development, cloning scripts, and online marketing services for all level business entrepreneurs and our target is to provide maximum return on investments to our clients. This Project Management PHP Script will help you to cover your business project management and the customers enquiries are solved by ticketing system which is included in this script, the admin has the control over the entire site, he can manage the account details and the project milestone can be viewed by team members by setting up the target time or module of the task, the project tracking can be easily track and can be directly added to the client and we provide chat option for the enquiries and multi-language support is also included in our site for the user preferences language. This script is used by the business people to create invoice management for the customer as per the business expenses for the project, in our script the sending the invoice details and tax details is made convenient for the user. 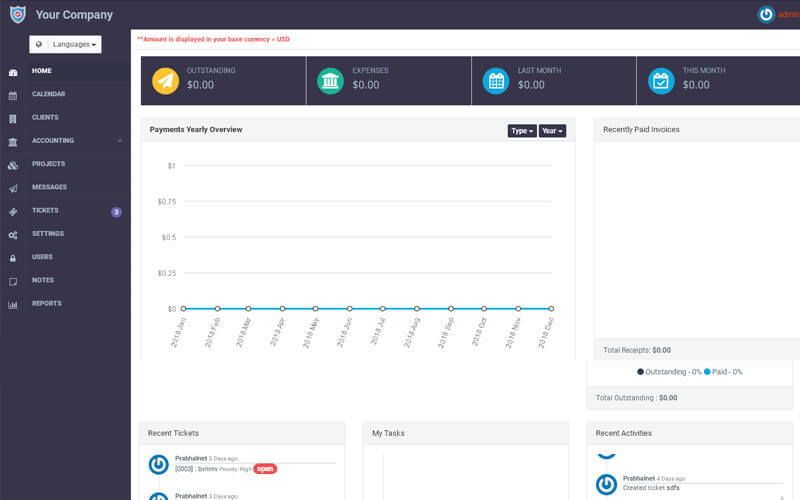 Nowadays the customers has major area to take part of the project management, through in our system the user can create the tickets to clarify their queries, the manager and admin can view the tickets according to the tickets priority. The user don’t need to worry about any technical knowledge of the script, because our Resource Allocation Script is designed as user-friendly and user-requirement.Through the admin can manage and change the most of the necessity functions including Payment details, bank details, logo and address of the respective project management.Open Source Project Management script will be live within 48 hours from the purchase of our server and also, we provide you brand-free site, 1-year technical support and 6 month free updates on the source code upon the purchase of the script. Awesome support desk performance. I have purchased project management scriptand it made suitable for me to work under small team on multiple projects. Effective and comes into a budget plan, they made my project dedicated to my business plan.